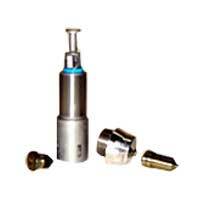 We are offering a wide range of Fuel Injection Parts, which is accurate in concern of dimensions and specifications. Precision engineered, our range of Fuel Injection Parts are manufactured by our team of engineers at our state-of-the-art manufacturing unit. Durable in quality, our products adhere to the international standards of quality a dare widely demanded by our clients in the international market. Based on that, we are marked as the most reliable manufacturer of Fuel Injection Parts.